Whether in or out, at home or by the beach, Les Toiles du Soleil gives you the opportunity to relax on modern deckchairs and design fisherman campstools that can change your garden, front yard, patio, back yard or overall outdoor home decor as the seasons go by with their unique removable fabrics. Give a joyful twist to your garden with playful colours and exclusive courtyard accessories or brighten your day at the beach with the most original beach accessories. A great selection of deckchairs can now adorn your patio or garden and give a fresh spin to your outdoor home decor. Les Toiles du Soleil offers an amazing range of deckchairs made of natural beach wood that ensure longevity through years of exposure to all natural phenomena, sunlight, wind and rain. 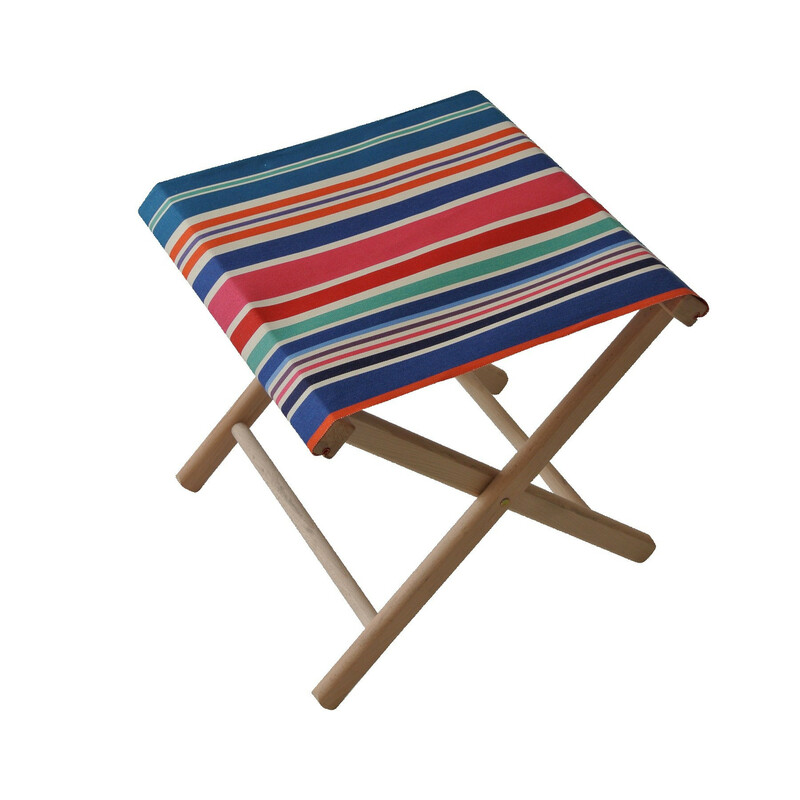 The deckchairs come with a removable multi-coloured 100% cotton fabric that is resistant and easy to clean. Thanks to the great variety of French striped fabrics of Catalan weaving, modern courtyard accessories and unique outdoor decorating ideas offered online everyone can now dress their garden furniture, deckchairs and stools according to their mood or needs.